Yoga is a powerful tool. It’s helped to shape my life path, and has been a strengthener of mind, body and will. Yoga has created a family of hundreds of souls I’d otherwise never have had the great fortune to know and learn from. And, apparently, it’s a calling I was not meant to stray from for too long. These past four months have been filled with challenging work, miracles by the dozen, support, trust, generosity, kindness, patience, tears, exhaustion, and a call for strong and ethical personal character — plus one, small, curious mouse. Never has doubt or skepticism been a part of my journey; there has been no time or place for it. Almost 20 years ago, a business was conceived, and a community was born. With blinders on and an excitement for what would be, we made something from nothing. Today, we do it again. Except this time, we’re guided by the vision of what has been, and what can be again; and we’re fortified by an outpouring of trust, hope and patience. 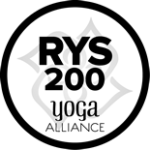 Because of this amazing community of yogis, it’s with great humility that I announce The Yoga Center Retreat will open its doors THIS JULY. Our home will be at 4212 Park Glen Road in St. Louis Park, just south of the old Yoga Center of Minneapolis location, on the North Cedar Lake Regional Trail. We’ve signed a long-term lease for almost 7,000 square feet, which we are now transforming into a bright, beautiful, inspiring urban retreat center. When we open our doors, we will offer classes, workshops, teacher training (both 230- and 300-hours), spa services, local-vendor market, wellness boutique, (pending St. Louis Park approval) a backyard farm, and much more. This will be the realization of a dream for a new-age community center that I’ve had for a long time. My infinite gratitude goes out to those of you who showed up this past February with support, encouragement, and faith. This couldn’t have happened without you. Additional thanks go out to all the early supporters whose willingness to roll up their sleeves and share their talents propped me up and kept me going: Shari Danielson, Kat Duvic, Alicia Goldsmid, Andrea Mueller and Jordan Nommay. And to every teacher-training student who endured considerable inconvenience but who, undeterred, became a “traveling trainee,” as well as every student who showed up in mystery studios to practice with their favorite teachers, thank you, thank you, thank you. Your smiles, kindness, loyalty and faith have helped get us through the tough spots. I also want to thank our wonderful family of teachers who showed up to ensure our survival: Michele Anderson, Wendy Brom, Jennifer Davis, Coleen “Coco” Elwood, Ryan Kelly, Kevin Kortan, Dr. Asavari Manvikar, Moya Mathews, Celia McCoy, Becky Nordeen, Tara Cindy Sherman and Stephanie Vos. Your dedication and trust run deep. I’m so proud of the skilled team we’ve put in place to launch this exciting new venture: Becky Nordeen as program manager, Chad Wahlberg as 230-hour student manager, Nichole Vesperman as studio manager, Jordan Nommay as web master and graphic designer, Shari Danielson as marketing and communications director. Soon, you’ll experience the results of their tireless efforts. Finally, there are no words to appropriately express my profound gratitude for my four beautiful business partners and co-owners, each who have given, and continue to give, so much of their time and talents: Amanda Collyard, Maria Lloyd, Jane Maltby and Amy Wolford. One more thing: I want our community to know that we’ve taken great care to roll this out with integrity and a great sense of obligation to do right by you as a student, customer, and yogi. We pledge to go above and beyond to continue to earn your trust and preserve our positive relationship. Please spread the word about us. Your good will and enthusiasm will help make this dream come true. Until The Yoga Center Retreat moves into its new space, our temporary studio remains open (3340 Republic Avenue, St. Louis Park) for teacher training, workshops and drop-in classes. Please bookmark our website, like our Facebook page, and follow us on Twitter or Instagram for continuing updates. You can expect to see more changes as we continue to grow and create. As always, I welcome your feedback; feel free to write to me at theyogacenterretreat@gmail.com.